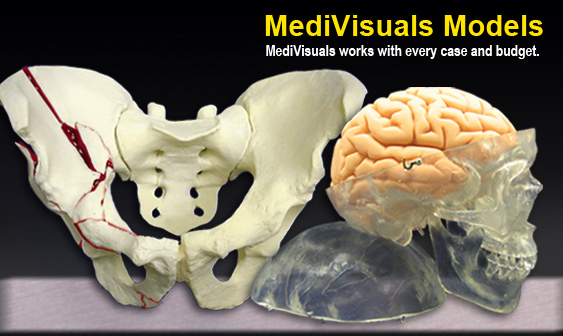 MediVisuals creates custom models for various case issues. One of MediVisuals most popular models is the Life Size Soft Brain Model because it is perfect for demonstrating the weight, flexibility, and vulnerability of the human brain. It is very effective in explaining how a brain injury can occur even without evidence of a significant blow to the head. The Life Size Soft Brain Model is also a great educational tool for clinicians, professors and grade school teachers.